I am. I'm dying here. Ask my doctor. 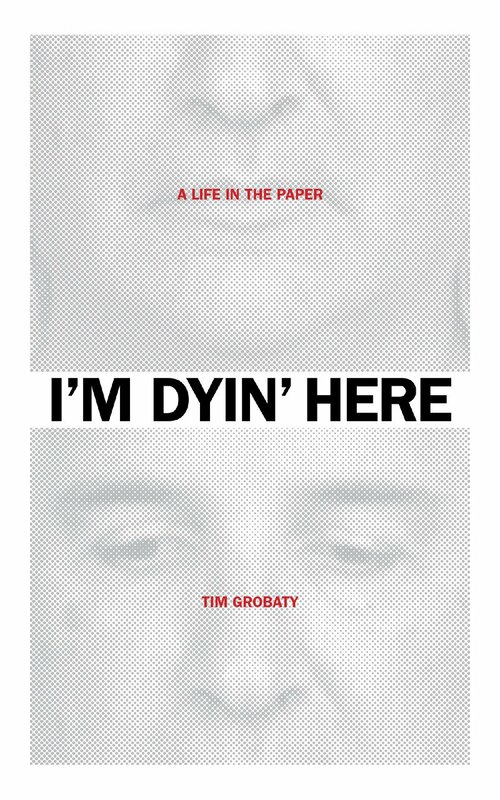 -- I'm Dyin' Here: A Life in the Paper by Tim Grobaty. This collection of essays looks at newspaper life, contemplating that, as the newspaper industry dies around him, this longtime columnist might just die at his job. I like the humorous start. I like what I am reading about this author and can imagine that he writes a good, easy to read chronicle of his time in the press. Whilst this would probably be more suited to a US centric audience because of its specific content, the future for journalistic staff all over the world seems to be fast approaching a precipice, from which there is no way back. The industry is fast running out of ways to reinvent itself! I like the opening you shared. It's attention grabbing. I enjoy reading books that evolve around the newspaper industry. I worked for one for a very brief time in college, although as a receptionist, not a writer. A very small paper, I should add. I enjoyed it quite a bit, although it was tense at times. Even then, the newspaper was not doing too well. Thank you for sharing! Such a gripping opening - I like the look of this one. Sure you'll enjoy it. Have a great weekend. This books sounds fascinating and,um, disturbing. which is it? The title really caught my attention. Oh this sounds good! Both my mother and her husband have worked in the newspaper industry for many years and are regularly lamenting the changes. This sounds like a good gift for both of them.